Brief history of the school: Richemont acts as an international Centre of Excellence for the artisan bakery and confectionery industry since 1945 and consists of two legally independent entities. 100 % of the foundation capital and the share capital are owned by the Swiss Bakers- and Confectioners Assocication (SBC). 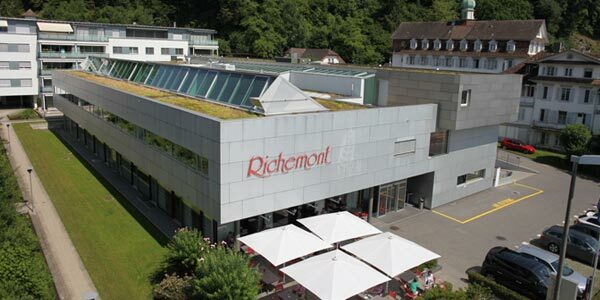 The “Foundation Richemont Craft School” represents complex training, continuing educa­tion, restaurants, hotel, as well as research, quality assurance and development with their own laboratory (focus on grain and flour analyses). The “Richemont Services plc” consists of their own publishing company with books, teach­ing aids, the monthly published Richemont-Fachblatt (since 1945), bro­chures, software and a full consulting service, modular sales training on site, as well as quality management support. Head office: Seeburgstrasse 51, CH-6006 Lucerne, Switzerland – Branch office: Av Général-Guisan 48, CH-1009 Pully, Switzerland. Brief description of its pastry training program: Richemont offers a wide range of specialized courses, further education programs (including diploma courses) and the highly recommended “Swiss Artisan Excellence” range, a modular, highly customizable state-of-the art diploma course for individuals, groups, schools and companies consisting of three modules (“Advanced Confectionery and Chocolate”, “Advanced Pastry”, “Advanced Bakery”. These courses are held in English language. Customization and simultaneous translation are possible upon request (to be charged separately). · Accomodation: Richemont operates its own in-house hotel, in addition, we cooperate with nearby hotels (3- and 4-star-category) in order to accomodate larger groups. Richemont is conveniently located, with an underground parking and direct access to public transport. Downtown Lucerne is 10 minutes bus ride away and can also be reached on foot within 25 minutes. · Work experience: Further education courses are addressed to professionals from the bakery, confectionery and/or gastronomy branch. Certain diploma courses are designed for beginners and/or career changer. · Demonstrations: All courses are a blend of theory and demonstrations, certain courses include hands-on work, too. · Stores: Richemont markets its courses and publications online (www.richemont.cc and Amazon, too). · Published books: Richemont is a world-renowned publisher of text- and reference books, for instance “Bread”, “Confectionery”, “Snacks”, “Cakes, loves and squares”, “Cakes, cream cakes” and “Swiss Art in Chocolate”. All our publications are available in English, many of them in Spanish, too. Our latest book, published in September 2013, is on “Fingerfood” (see photos attached, currently available in German only). · Published magazines: Richemont is the publisher of the leading Swiss magazine for bakers and confectioners (German: Fachblatt, Français: Bulletin). The magazine is published on a monthly basis since 1945 in both German and French language, containing recipes, professional articles and interviews. 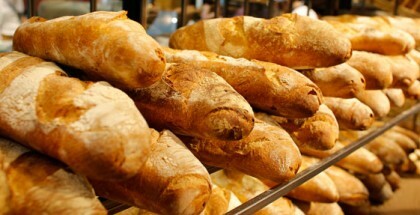 Two to three issues a year are thematic and special issues – for instance, issue 6/7 2013 featured Spain and its bakeries as well as products with Sherry.